Boston’s plastics pollution is to be turned into art – with a hard-hitting message. Children taking part in this year’s Big Schools Clean Up have already gathered sacks of littered plastic for artist Laura Mabbutt to use to create a sculpture. More plastic will be added from this week’s Big Boston Clean Up. 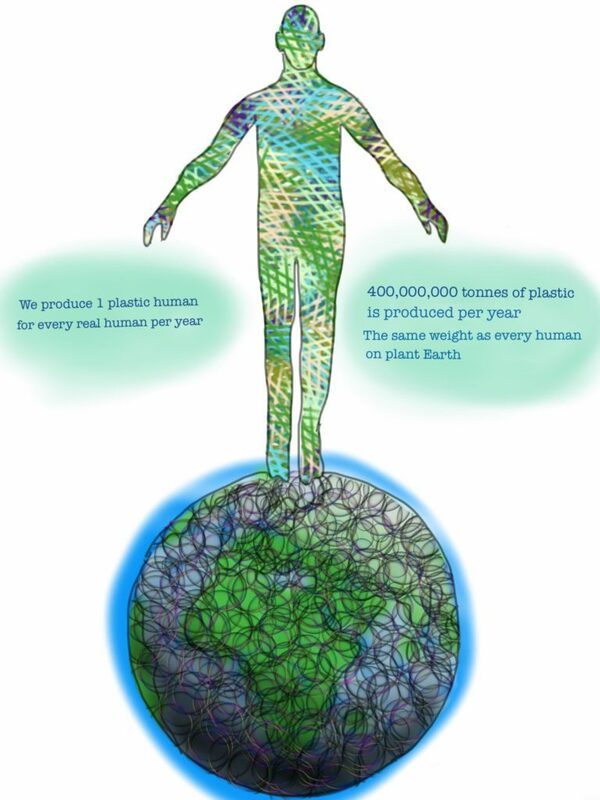 Laura’s research has revealed that we produce one plastic person for every person on Earth every year – a staggering 400,000,000 tonnes. So she will create a plastic person standing on a plastic Earth to reinforce the message that plastics pollution is overwhelming the planet. The plastic collected will be stripped into yarn to weave and anyone can join in to help Laura at the Geoff Moulder Leisure Complex on Monday, Tuesday and Wednesday, June 10,11 and 12 from 10am to 3pm. If you want to lend a hand please contact Jen Moore on 01205 314200 or email her at jenny.moore@boston.gov.uk giving an indication of when you can come and for how long. The sculpture will be displayed at this year’s Lincolnshire Show as part of an exhibit by the Lincolnshire Waste Partnership and then go on public display in the borough. It’s not too late to pledge your support and the clean-up it is taking place right up until Thursday.